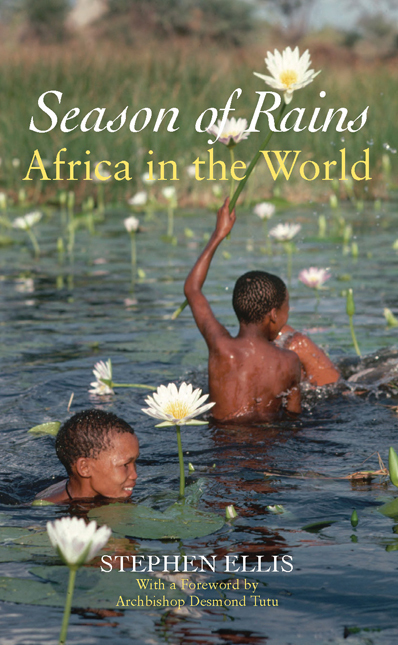 In: Africa Review / African Studies Association of India: (2011), vol. 3, no. 1, p. 17-31 : tab. In: CODESRIA Bulletin: (2011), no. 3/4, p. 14-19 : tab. In: Marchés tropicaux et méditerranéens: (2011), année 66, no. 3270, p. 5-17 : ill. , krt. 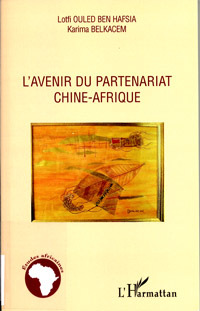 In: Cahiers d’études africaines: (2011), vol. 51, cah. 202/203, p. 353-367 : graf. , tab. In: Journal of African Economies: (2011), vol. 20, no. 2, p. 217-262 : tab. In: Journal of African and International Law: (2010), vol. 3, no. 1, p. 125-146. In: Journal of African Economies: (2010), vol. 19, no. 1, p. 1-24 : graf. , tab. In: Africa Insight: (2010/11), vol. 40, no. 3, p. 168-182 : graf. , tab. In: Africa Review / African Studies Association of India: (2010), vol. 2, no. 2, p. 139-162 : graf. , tab. In: OSSREA Bulletin: (2011), vol. 8, no. 2, p. 23-28. In: Eastern Africa Social Science Research Review: (2011), vol. 27, no. 2, p. 51-90 : fig. , tab. In: Journal of African Economies: (2011), vol. 20, no. 4, p. 600-625 : tab. In: The Journal of North African Studies: (2011), vol. 16, no. 3, p. 395-413 : tab. In: African Studies Review: (2011), vol. 54, no. 2, p. 47-72 : tab. In: Africanus: (2010), vol. 40, no. 2, p. 18-39 : graf. , tab. In: Urban Forum: (2010), vol. 21, no. 4, p. 405-423. In: African Development Review: (2010), vol. 22, no. 4, p. 495-510 : graf. , tab. In: African Historical Review: (2010), vol. 42, no. 1, p. 63-90. In: Cahiers africains d’administration publique: (2010), no. 75, p. 101-122 : fig. , tab. In: Ghana Journal of Development Studies: (2010), vol. 7, no. 2, p. 96-118 : tab. In: Insaniyat: (2010), no. 50, p. 35-52. In: Cahiers africains d’administration publique: (2010), no. 75, p. 49-75 : fig. , tab. In: Journal of Oriental and African Studies: (2010), vol. 19, p. 123-145 : fig. In: Africa Insight: (2010/11), vol. 40, no. 2, p. 153-164. In: Africa Insight: (2010/11), vol. 40, no. 1, p. 62-77 : tab. In: Urban Forum: (2010), vol. 21, no. 4, p. 367-385 : graf. , krt. , tab. Vroom Vroom Africa / Femke Stroomer & Gertruud van Ettinger. – [S.l. : s.n. ], 2010. – 2 dvd-video (35 min.). : kleur, gel. In: Journal of Contemporary African Studies: (2011), vol. 29, no. 4, p. 513-535 : krt. In: Journal of African Economies: (2011), vol. 20, no. 4, p. 531-561 : graf. , tab. In: Africana Studia: (2011), no. 16, p. 175-185 : foto’s, graf. , tab. In: Marchés tropicaux et méditerranéens: (2011), année 66, no. 3264, p. 6-16 : foto’s, ill. In: The South African Journal of Economics: (2011), vol. 79, no. 3, p. 211-223 : fig. , graf. , tab. In: Penant: (2011), année 121, no. 875, p. 157-163. In: Afrique contemporaine: (2011), no. 238, p. 31-41. In: Marchés tropicaux et méditerranéens: (2011), année 66, no. 3263, p. 7-24 : ill. In: Africa Quarterly: (2011), vol. 51, no. 2, p. 44-50 : foto’s, krt. In: South African Journal of International Affairs: (2010), vol. 17, no. 1, p. 103-120. In: Ethiopian Journal of Economics: (2010), vol. 19, no. 1, p. 75-126 : fig. , graf. , tab. In: Africa Quarterly: (2010), vol. 50, no. 1, p. 26-35 : foto’s. In: The Journal of Modern African Studies: (2010), vol. 48, no. 1, p. 35-66 : fig. , tab. In: Africa Quarterly: (2010), vol. 50, no. 4, p. 44-51 : foto’s. In: Cahiers du CERLESHS: (2010), t. 25, no. 35, p. 127-159 : graf. , tab. In: Afrique contemporaine: (2010), no. 237, p. 57-70 : tab. In: Afrique contemporaine: (2010), no. 237, p. 85-96. In: Afrique contemporaine: (2010), no. 237, p. 71-83 : graf. , tab. In: Afrique contemporaine: (2010), no. 237, p. 97-109 : krt. In: Afrique contemporaine: (2010), no. 237, p. 111-129 : krt. In: The Journal of North African Studies: (2010), vol. 15, no. 2, p. 231-253 : graf. In: Africa Today: (2009/10), vol. 56, no. 4, p. 42-61. In: Penant: (2011), année 121, no. 875, p. 256-266. In: Recht in Afrika: (2011), Jg. 14, H. 2, S. 155-182. In: African Journal of International and Comparative Law: (2011), vol. 19, pt. 1, p. 1-37. In: Revue congolaise de droit et des affaires: (2010), no. 4, p. 11-21. In: Revue congolaise de droit et des affaires: (2010), no. 4, p. 31-43 : tab. In: Penant: (2010), année 120, no. 873, p. 440-461. In: Revue congolaise de droit et des affaires: (2010), éd. spéc. no. 2, p. 9-97. In: Penant: (2010), année 120, no. 871, p. 167-194. In: Penant: (2010), année 120, no. 871, p. 195-220. In: Revue congolaise de droit et des affaires: (2010), no. 4, p. 23-30. 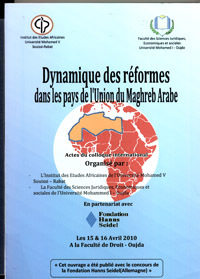 In: Revue africaine des affaires maritimes et des transports: (2010), no. 2, p. 34-41. In: Penant: (2010), année 120, no. 872, p. 277-304. In: Penant: (2010), année 120, no. 872, p. 305-328. In: Penant: (2010), année 120, no. 873, p. 405-420. In: Penant: (2010), année 120, no. 872, p. 357-373. In: Penant: (2010), année 120, no. 871, p. 230-252. The AAE programme, set up in 2007 by the African Leadership Network, awards exceptional entrepreneurial leaders who serve as role models to Africa’s aspiring entrepreneurs and who demonstrate business excellence, innovation and profitability. Africa Business Information Services (AfBIS) is an independent private organisation, formed in 1998 to provide online information on African economies that will help companies and individuals around the world come to a better understanding of these nations and to promote trade and investment in Africa. Selective list of links to the homepages of African chambers of commerce compiled by the Science, Technology and Business Division of the Library of Congress. International development bank headquartered in Abidjan. Country & sectoral information, projects, news & events. The 7th African Economic Conference (Kigali, Oct. 30 to Nov 2, 2012) focuses on “Inclusive and Sustainable Development in an Age of Economic Uncertainty.” The objective of the AEC, which is co-organized by the African Development Bank, the UNDP and the United Nations Economic Commission for Africa (UNECA) is to provide a platform for experts on Africa to reflect and dialogue on new directions for growth policy. Information on the 2012 conference as well as the past 6 AEC conferences. The Doing Business Project, launched by the World Bank and the International Finance Corporation in 2002, provides objective measures of business regulations and their enforcement across 183 economies and selected cities at the subnational and regional level. IMF reports and publications arranged by country. These IMF reports discuss recent economic developments and prospects for countries in Sub-Saharan Africa. They also address regional policy developments and challenges, and provide country-specific data. Based in Addis Ababa, ECA’s mandate is to promote the economic and social development of its member States, foster intra-regional integration, and promote international cooperation for Africa’s development. Programmes, subregional offices, publications, meetings & events, press releases.